It’s been a busy Humpday in the squirrel’s nest. With deadlines looming at work, I wasn’t able to think of any new and awesome recipes today. For dinner, we turned to some of our favorite soul food recipes. 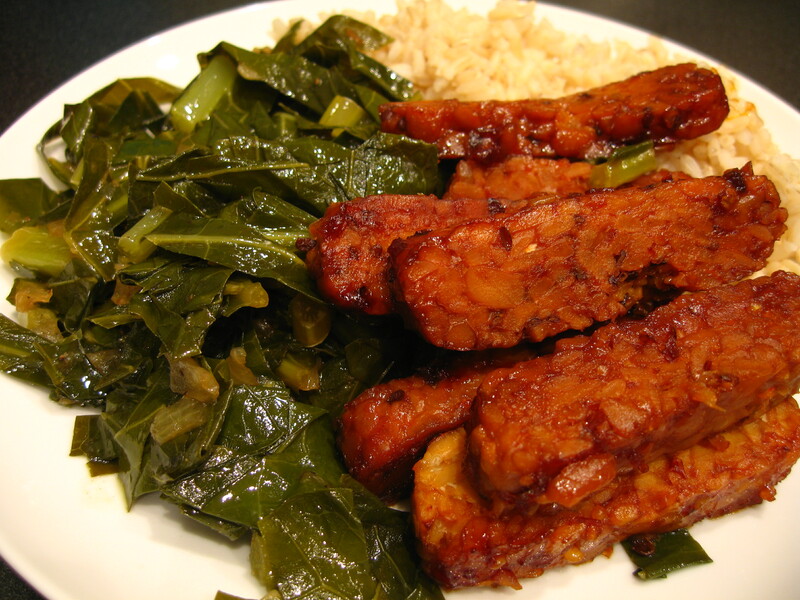 Braised collard greens, chipotle BBQ tempeh from Bryant Terry’s Vegan Soul Kitchen and brown rice nourished our bodies and souls. On to the naughty news! Yesterday, I logged onto Facebook and saw a post from Justin’s Nut Butter about their new peanut butter cups. They have a dark chocolate version that is vegan. At least for now, they’re only available at Whole Foods. I picked up a few packs and tried them today. They are delicious!